Duct tape is made for smooth, even, predictable surfaces. How many of your projects can be described that way? That's why we invented Gorilla Tape. Made to stick to rough, uneven, unforgiving surfaces like wood, stone, stucco, plaster, brick and more. 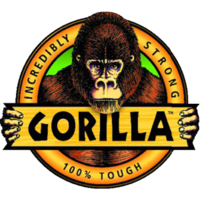 Just like Gorilla Glue, Gorilla Tape is a breakthrough – that's why Popular Science put it on their "Best of What's New, 2006" list. Here's what they said: "Oh what MacGyver could have done with Gorilla Tape in place of his beloved grey stuff." • DOUBLE THICK ADHESIVE – fills up the gaps in rough, uneven surfaces for super strong bite. 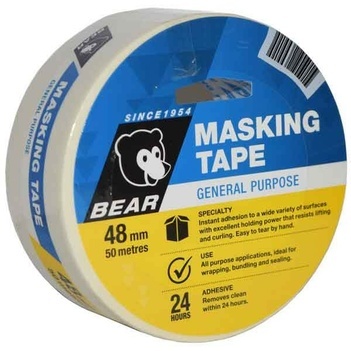 • STRONG REINFORCED BACKING – the tight weave makes Gorilla Tape extra strong, but you can still rip it straight and easy. • TOUGH ALL-WEATHER SHELL – for the toughest jobs in the toughest conditions.